Crocheting is soothing. I didn’t pick it up until I had this desperate need to learn so I could create something after Noah died. When I am anxious, and jumpy and need call, crochet helps. It’s repetitive, rhythmic, and soothing. I prefer projects with small goals. So that I can see what I am creating taking shape. 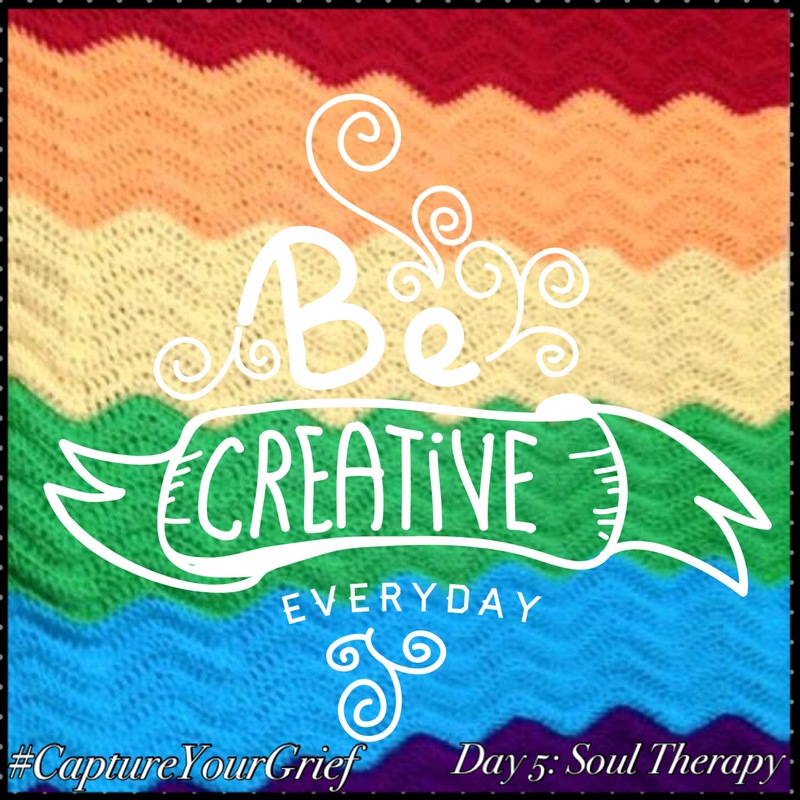 I have always loved the line from RENT “The opposite of War isn’t Peace – it’s Creation!” Grief can feel like a war. With the world, with “why”s, with your emotions, with yourself. You are geared up for battle, but you can’t fight death. So we get angry and lash out at those who try to comfort us. Or, at those who are silent. Creating can channel all of that tension elsewhere.